Recent environmental concerns have homeowners and manufacturers alike looking for greener options, especially during home improvement projects. One of the more popular options is roof replacement, a project that can provide lasting comfort and energy efficiency for your Illinois home. A green roof provides a healthy return on your investment. It offers greater insulation, which lets you enjoy a more comfortable indoor environment while significantly lowering your energy costs. If you’re still unsure, some states offer tax credits, rebates, and other financial incentives to homeowners who are switching to a green roof. This and the amount of energy you save make this a big win. You’ll want a green roof that blends perfectly with your home’s architectural style. Your Munster roofing is one of the most visible parts of your home, so you have to make sure it contributes to increased curb appeal. 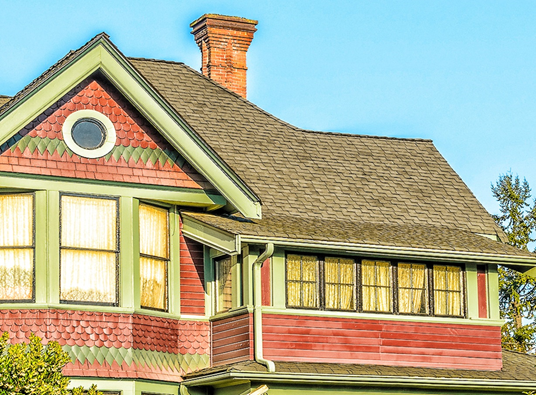 Consider the range of roofing materials that might look good for your home. Rogers Roofing offers asphalt shingles that come in a wide selection of colors. These offer the authentic look of premium materials like slate and wood shakes, as well as ensure lasting beauty and protection. When switching to a green roof, you should also consider the area you live in. Choose a green roof that’s suitable for your region’s weather patterns and environment. For instance, a place that’s subject to wet conditions and cold temperatures will benefit more from dark-colored roofing materials that absorb heat and help keep the home warm. For your roof replacement, make sure you apply for a permit. Every region has specific codes and regulations regarding building projects. This protects you and your investment and also ensures your personal safety. If you don’t want fines or forced removal of your new roof, be sure to comply with your area’s building regulations. When you’re ready, turn to Rogers Roofing for quality green roof installation. We are the CertainTeed SELECT ShingleMaster™ contractor that Illinois homeowners trust for quality roofing services. Call us today at (773) 492-2270 for a free estimate.